Glorious and diverse. 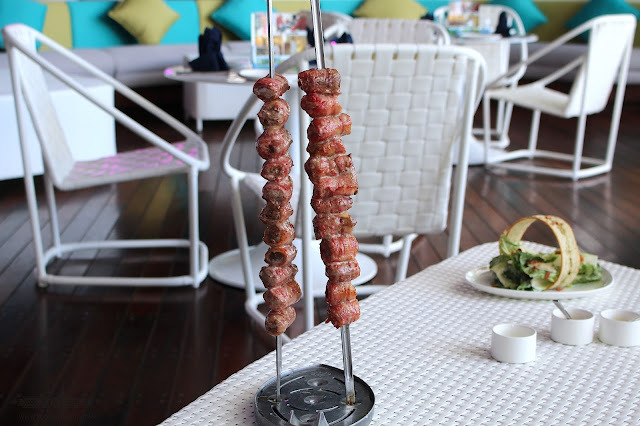 Unlimited servings of wonderful and different cuts of meat could only be attained in one place in the metro, IBIZA BEACH CLUB IN BGC. 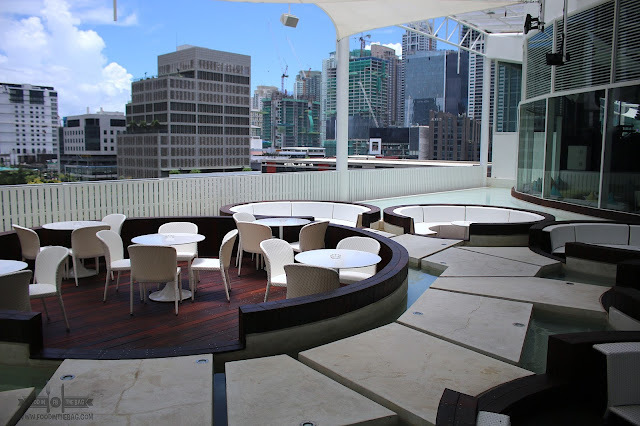 Recently opened and patterned after the one in CEBU'S MOVENPICK HOTEL in MACTAN, you can definitely get your fill here. With an impressive design catering to different types of gatherings, one could pick their own nook and just let the night fade away. A huge stage is in the center of the hall while sections upon sections surround it. The most impressive would be the outdoor seating with a jacuzzi. 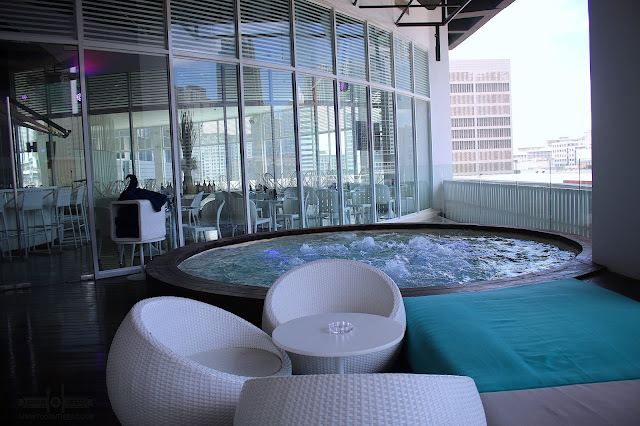 You could take a quick dip while partaking of an amazing meal. 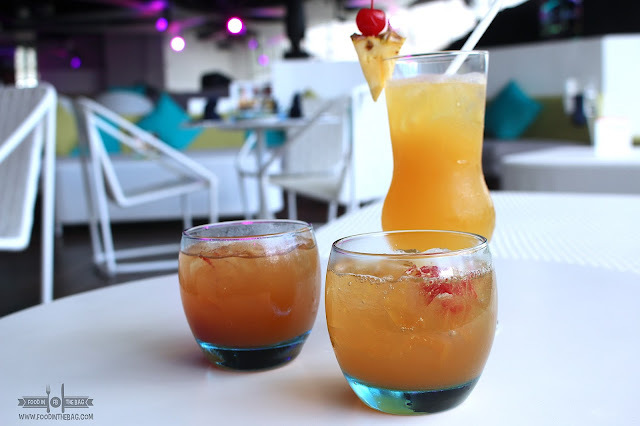 Drinks seems to be the perfect way to start any visit. One of club's best seller would be their IBIZA SOUR. Not overly sweet, it's very similar to whisky sour. It's refreshing yet after a few glasses you might feel a little buzzed. 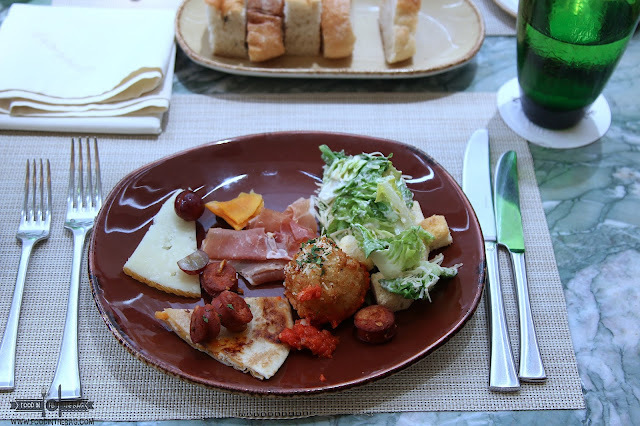 To make the most out of any visit, one should partake of the signature 15 course Balearic grill. 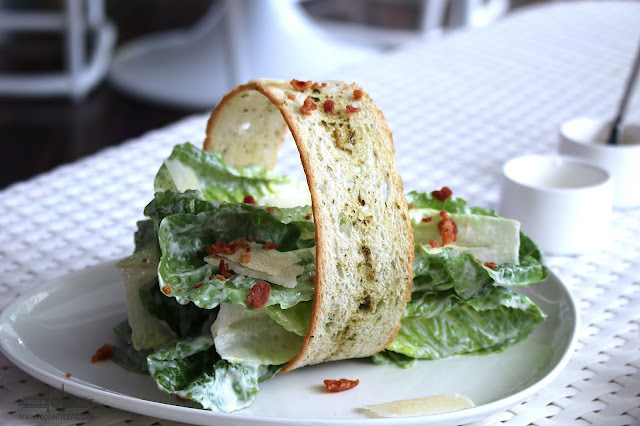 At the start, you could go for their salad bar or have caesar salad created just for you. Each dish is cooked and created when you want it and as much as you can. For the price of Php 2,500 ++, you also have the option of having unlimited servings of award winning red and white Manny O. wines just by adding Php 600. 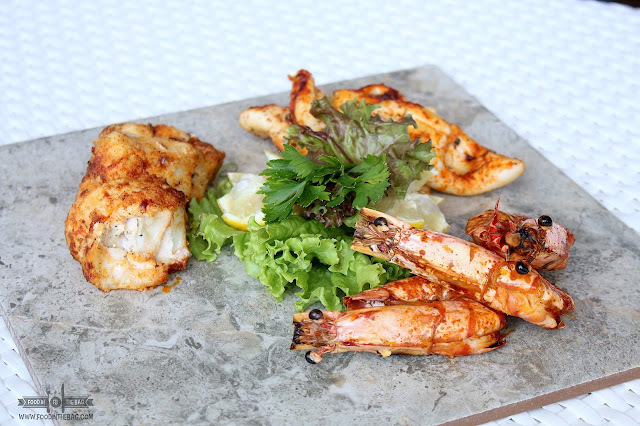 After starting with the greens, you could go for their seafood choices. Salmon, Jumbo Prawns, Calamari, and even the Parrot fish. Each one with their specific flavor and right off the grill. Special mention has to go for the parrot fish. Each bite was packed with flavor and the texture wasn't as loose as other seafood might be. It was seriously good. 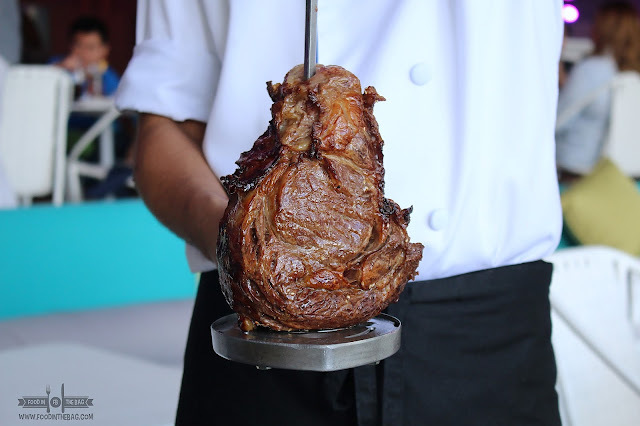 Meat is basically the main attraction of the 15 course grill buffet. 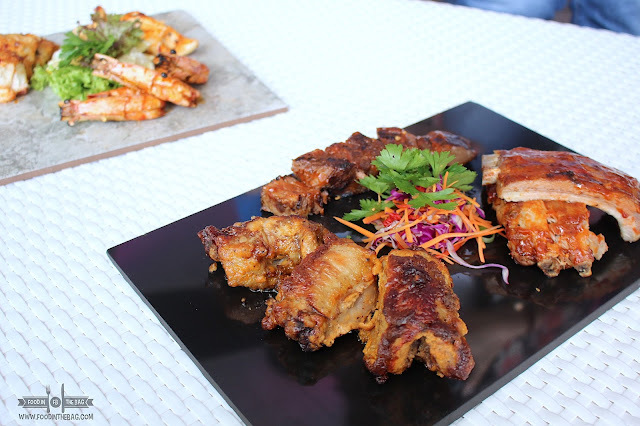 From chicken to ribs and other delightful cuts, you won't go wrong with any. One must try everything then pick out their favorites to order more. 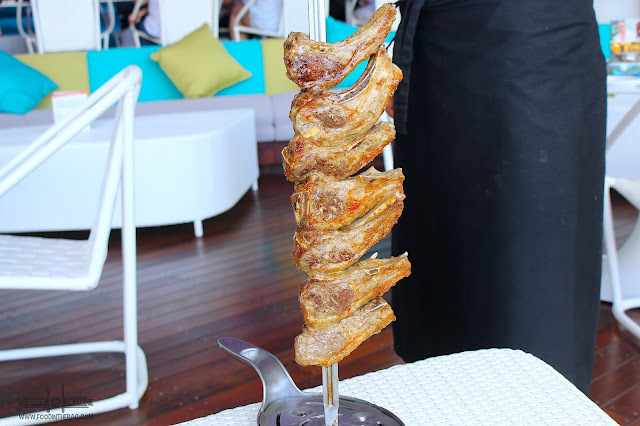 Crowd favorites would include the LAMB, FILET MIGNON, and RIB EYE. The lamb is cooked in such a way that it isn't as gamey as you would expect. The flavor is there and the meat is gorgeous. No need for any mint sauce. You could have it on its own. The Filet Mignon is US ANGUS wrapped in juicy bacon. The meat is tender and each one is proportioned correctly. It's like having bite sized steak prepared just for you. If you're a steak lover, the RIBEYE would be your bet. Sourced from the US, it's their way of saying, here's the MEAT. Grilled and not overly done, you get to have the best of both worlds. Ask for the burnt ends just so you get something crispy to go with. You don't see OSTRICH meat everyday. 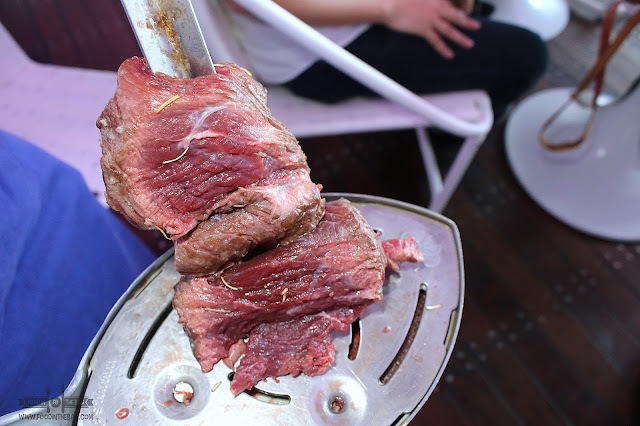 Cooked in medium rare, it's a bit tough but there lies an immense flavor with each mouthful. This is something you should try. 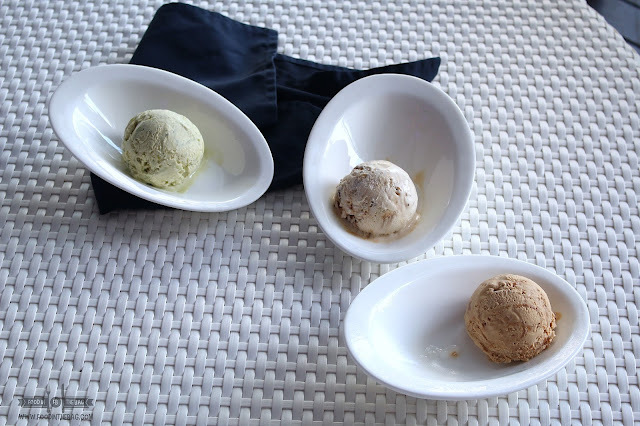 For dessert, you could go for the signature MOVENPICK ICE CREAM. With artisinal flavors, you won't go wrong with any. It's only here that you could try it out in the metro. Hopefully, they could introduced sugar-free versions. But, the perfect ending would be the QUEEN PINEAPPLE. 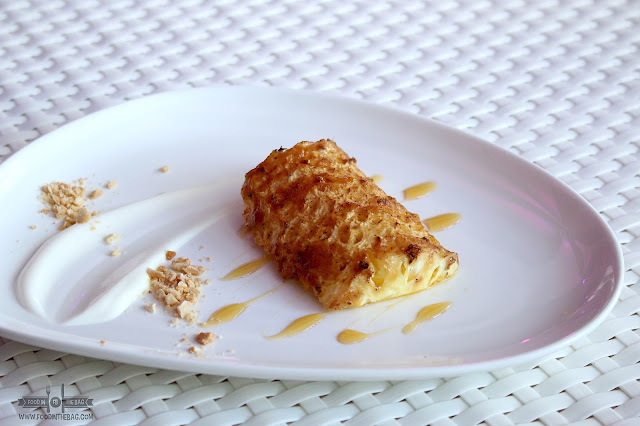 Roasted with cinnamon sugar, served with honey, fresh yogurt, and crushed nuts, you can't help but wonder how good your day is going because of everything that you have tried at IBIZA BEACH CLUB. 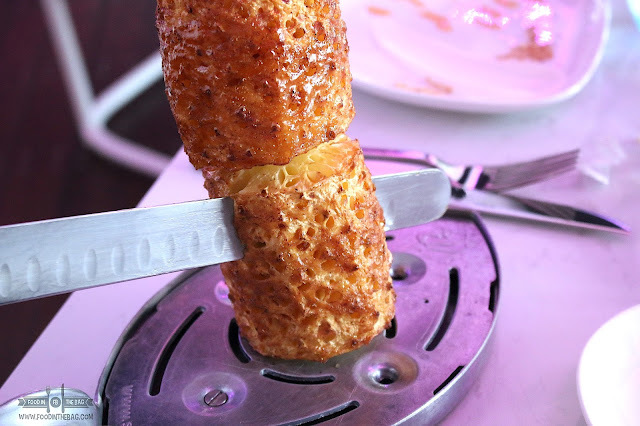 Seriously good, this is a place that can put both food and entertainment on the table. Definitely a place to visit to unwind and enjoy. 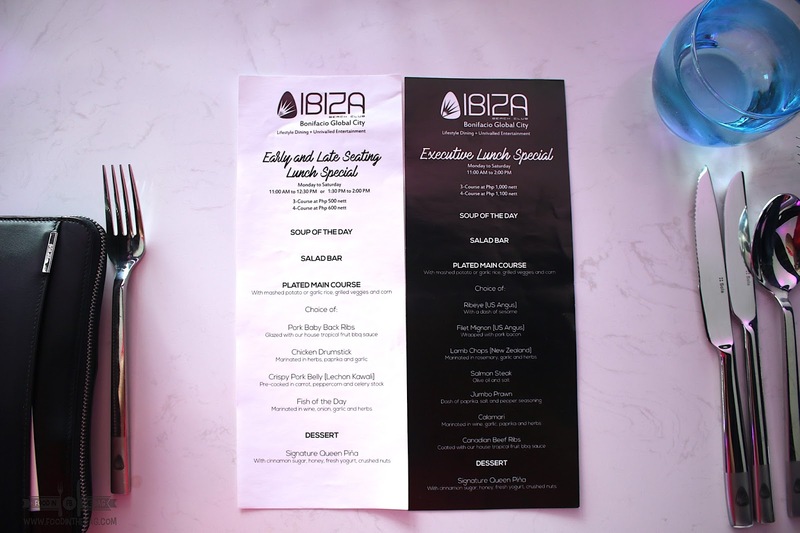 Ibiza Beach Club offers set meals to cater to everyone's appetite for lunch.